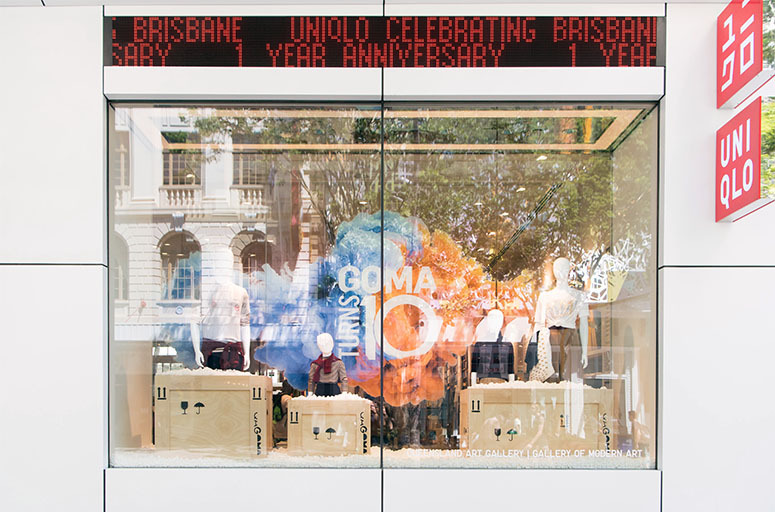 QAGOMA’s partnership with UNIQLO celebrates both the first anniversary of its Brisbane Queen Street store opening and GOMA’s tenth anniversary. Both anniversaries are a milestone as they provide the opportunity to show what really makes Brisbane the magnetic, vibrant city it is. 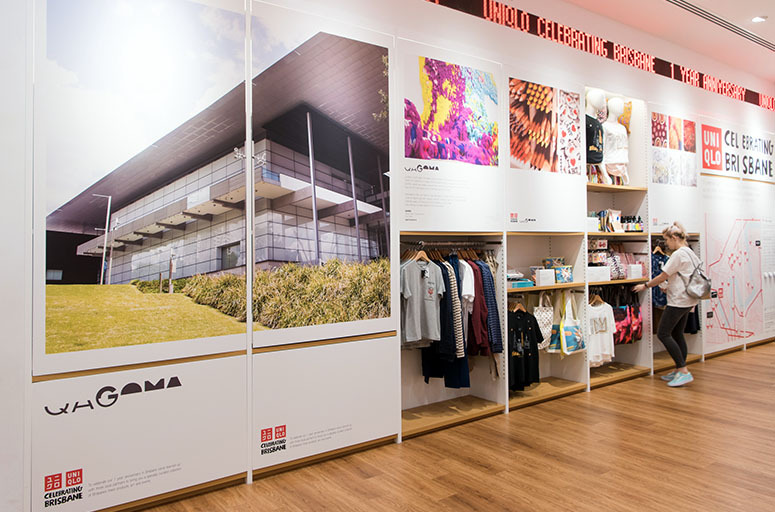 Besides the display of QAGOMA art merchandise at UNIQLO, the Gallery in turn is displaying a selection of UNIQLO products in its GOMA Store at South Bank. UNIQLO’s apparel comes from the Japanese values of simplicity, quality and longevity –designed to be of the time and for the time. 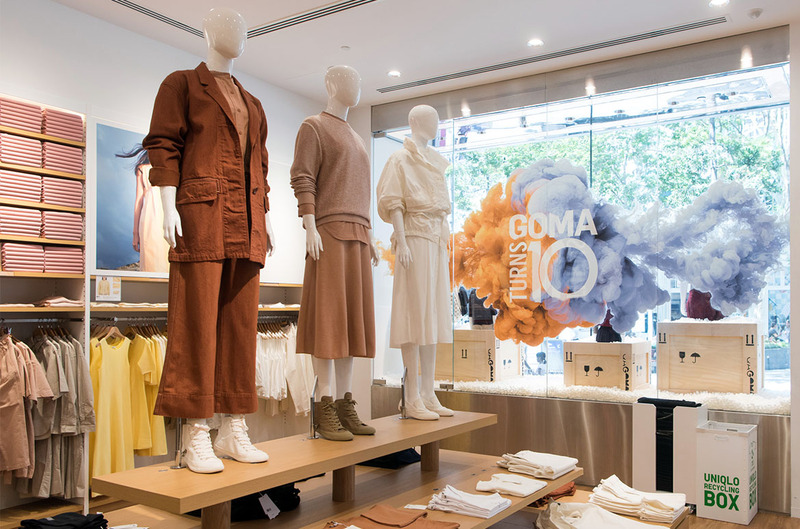 This partnership brings together art merchandise from both the Japanese global apparel retailer and QAGOMA into the heart of the Brisbane community. 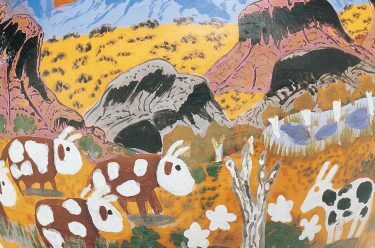 QAGOMA is known in its own right for local aficionados of culture as the QAG and GOMA Stores curate an inspiring and ever changing collection of design objects, art merchandise, artist materials, quality art books and stunning jewellery. The Gallery regularly collaborates with leading local artists, designers and makers to offer unique contemporary products. 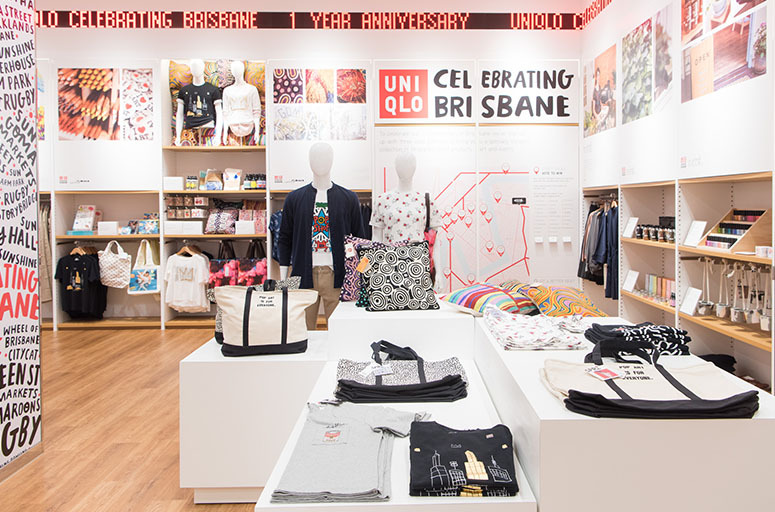 Join us at UNIQLO’s Brisbane store at 170 Queen Street as we celebrate the beginning of a very exciting partnership. Brisbane artists Rachel Burke (artist, stylist, and photographer, designer) and Patience Hodgson (lead singer of The Grates, co-owner Southside Tea Room) will be at the store for a hands-on workshop. Learn how to turn a humble pair of socks into a masterpiece. The first 100 customers to attend this special event will receive a free pair of socks to beautify. All materials provided. Rachel Burke and Patience Hodgson return for their second hands-on workshop. Join them and create a truly unique wearable piece of art. All materials provided.